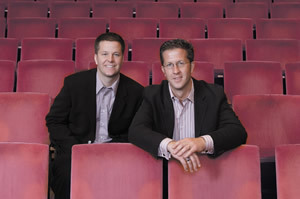 Since the sales of their first album in 1994, brothers and pianists Tim and Ryan O'Neill have been busy touring, releasing CDs on their own label, and recording music for HBO, ESPN, and NBC. Last month, the New Prague natives released their twenty-third album, Someone You Love. This month, they're joined by pop star Deborah Gibson when they bring their signature stylings to Orchestra Hall.